Bizarro Au Go-Go: Blood, Babes, and Beyond: Happy BarfDay! Tired of those lame Hallmark cards? Well now you can get your own Happy Barfday cards for that special weirdo in your life. They will love it so much, they'll hardly be able to contain themselves! 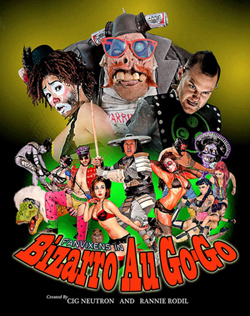 Check out the official Bizarro Au Go-Go Barfday card video and and we're sure you'll be enticed to pick one up from our online shop.